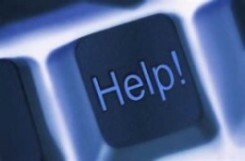 Don’t get caught unprepared – talk to us about Disaster Recovery solutions today! Safeguard Your Business! Protect Your Data. Your company’s data is critical to it’s survival. And having access to this data, both from your local office or from an emergency location – is just as critical. Could your business survive without email? Blackberries? Financial data? A Gartner Group study performed in 2008 showed that 78% of businesses that had a total systems failure of more than two days duration, were out of business within twelve months. Most small to mid-size organizations usually rely on traditional, ‘old school’ tape backups to guard against the prospect of a disaster. While tapes have their place as archival devices, they are not front-line insurance against disaster. Many firms pay lip-services to disaster recovery, but usually don’t undertake a careful assessment of their exposure, or how their businesses would be impacted – at all levels – from being unable to access their data for hours, days – or possibly weeks – on end. While comprehensive solutions that maintain copies of data at remote locations are desirable, they are often unaffordable. The LCO Group’s Sentinel system- Data Protection, Backup, and DR for the 21st century – at a fraction of the cost of traditional real-time replication systems. 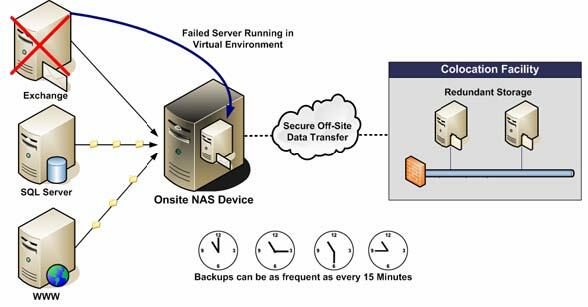 Ability to virtualize the onsite CDP device – with up to 10 virtual servers per device – within 30 seconds. 4 hour spin-up of remote data during a total site outage – and ability to easily have users remote in and access the data (faster spin-ups are available upon request). The Sentinel System gives the IT Administrator – and the COO – the benefit of seamless backup, replicated data, and secure offsite backup – along with full DR and Business Continuity capability. For companies with more demanding requirements – such as trading floors, where 15 minutes recovery is insufficient, we have a full server replication solution based on Computer Associate’s award winning HA (formerly WanSynch) solution. Contact us today for more information. The LCO Group offers a range of affordable, easy-to-manage and maintain DR solutions. We can show you what you have been missing in a consulting firm.